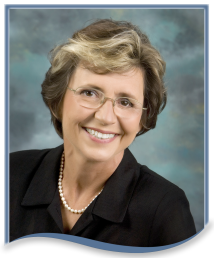 Carol W. Stevens, D.D.S.,M.B.A., Diplomate of the American Board of Periodontology, has over 45 years of experience in the dental care profession and has practiced in Charlotte County since 1988. Dr. Stevens specializes in the treatment and prevention of periodontal gum disease to provide her patients the best predictable results with the latest advanced and pain free technology. Carol W. Stevens D.D.S., M.B.A. is a Board Certified Periodontist who has made significant achievements beyond the mandatory educational requirements of the specialty of periodontics. Dr. Stevens has been a Diplomate of the American Board of Periodontology since April 10, 1992. The Diplomate certification honors dental professionals who practice a high degree of education, skill and dedication. Carol W. Stevens D.D.S., M.B.A is a professional who has taken the time and effort to prove, before a panel of internationally respected peers, that she is competent enough to hold the specialties highest honor of Diplomate. By successfully completing the examination process, Carol W. Stevens D.D.S., M.B.A has demonstrated motivation for continued professional development, self evaluation, and to provide the best, up to date professional care. Certification as a periodontist after at least two years of postdoctoral study in an American Dental Association approved program that concentrates on the diagnosis, treatment, and prevention of periodontal disease. At least four years of actual experience in the clinical practice of periodontics. Presentation of detailed reports on a broad range of actual treatment personally provided by the candidate. Founded in 1939, ABP encourages the study and advancement of the science and art of periodontology. It is officially the oldest American Dental Association recognized specialty board and is the only national certifying board in the dental specialty of periodontics. April 10, 1992 – Dr. Stevens became board certified by the American Board of Periodontology. To achieve the distinction, Dr. Stevens was examined by a panel of internationally respected peers and awarded the Diplomate status, one of the highest recognitions of achievement afforded by the specialty. March, 2010 – Dr. Stevens was appointed by Governor Charlie Crist to serve on the Florida Board of Dentistry. The Florida Board of Dentistry governs all dentists and hygienists practicing in the state of Florida and serves as a “quasi-judicial” entity on licensure issues. She served until November 2013. Dr Stevens belongs to the following organizations to promote professional growth, as well as the art and science of dentistry and periodontics. 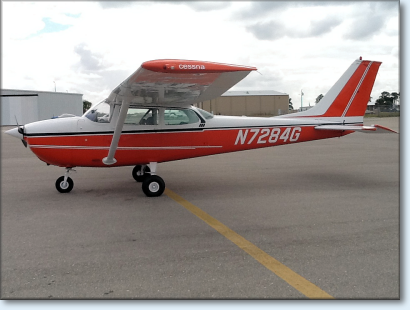 In Dr. Stevens’ spare time, she pilots a Cessna 172 and is an enthusiastic golfer. She also enjoys dancing and ziplining. Dr. Stevens has one daughter and two grandchildren living in North Carolina.